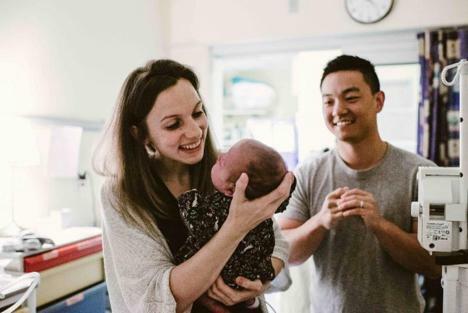 Charlotte was delivered at BC Women's Hospital via an emergency C-Section after a difficult, intensive eighteen-hour labour filled with painful complications. Sarah and her husband, Sean were over the moon to greet baby Charlotte but quickly noticed the baby's lips were turning blue. The doctors acted quickly, taking Charlotte away to assess her condition leaving the new parents full of questions and worry. 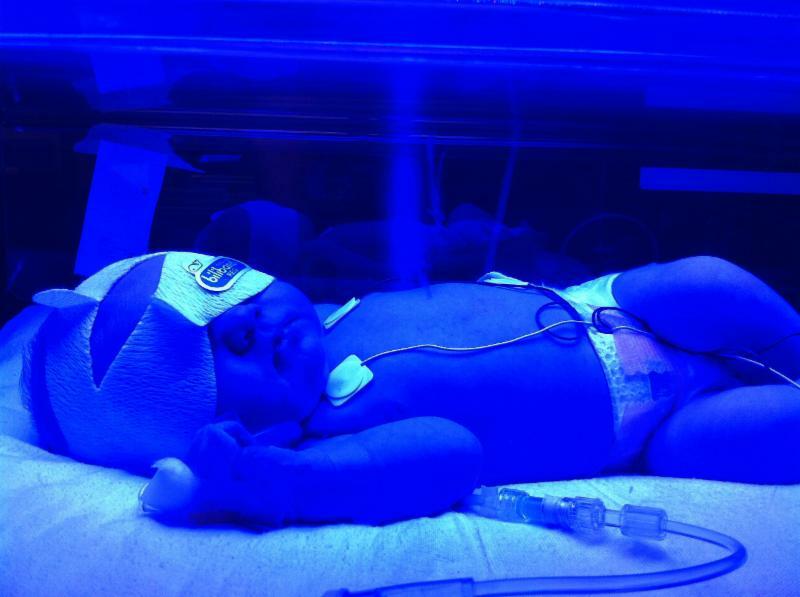 Charlotte spent the next three days in the Newborn ICU being monitoring and treated around the clock for jaundice and a variety of other issues. They were both so humbled and appreciative by the efforts of the incredible nurses and doctors that were so dedicated to ensuring that Charlotte was strong and healthy enough to go home and start her life. Deeply grateful for the care. Lisa Janzen was pregnant with twins, Finn and Bowen, was diagnosed with HELLP syndrome, a hidden pre-eclampsia. On November 18, 2015, Lisa's platelets dropped and was rushed into an emergency c-section she had to be put under due to not enough platelets for a routine c-section. 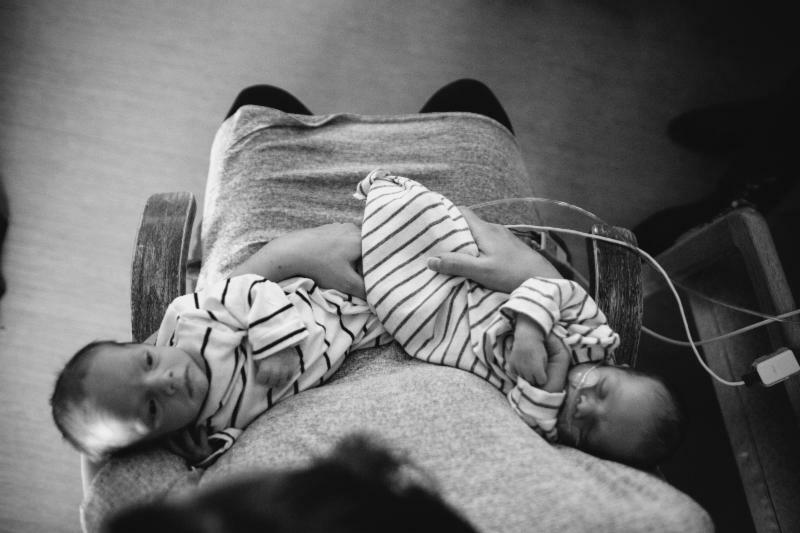 The Janzen family also found out during pregnancy that Bowen had a heart condition.When Lisa awoke from surgery, she was introduced to her two beautiful newborns twins. Things seemed to be going well until they discovered one of the boy's sugar levels were dropping and they ended up being admitted into the NICU. They both spent a few days in the NICU - a very difficult time for the family. Finn was the first to be released from the NICU, but Bowen was being monitored closely as they decided to operate at 10 days old. The family felt so helpless and guilty with one twin in their recovery room and one downstairs in the NICU, they weren't able to bring Finn down to the NICU, so when we wanted to visit Bowen, they had to leave Finn with the nurses, a constant battle of feeling as though they were having to choose between their children. It was not the start to motherhood that Lisa had dreamed of. As emotional and difficult this time was, the family has the most beautiful and nostalgic memories of BC Women's and the NICU. The nurses were all so caring, empathetic and incredible at their job. The Janzen's remember watching and admiring their work as they attended to every machine beep and newborn cry. To this day, when the family goes for Bowen's yearly heart check ups at Children's Hospital and they see that BC Women's and NICU sign, they are filled with both heartbreaking yet sentimental feelings. Lisa says it's hard to describe how a place where you never want to be becomes so precious and nostalgic. The Janzen's feel so incredibly grateful for the amazing care they were given by the teams at the hospital and express how fortunate we are to have such a world class hospital so close to home. Today, Finn and Bowen are two thriving, active and imaginative soon-to-be three year old twins. 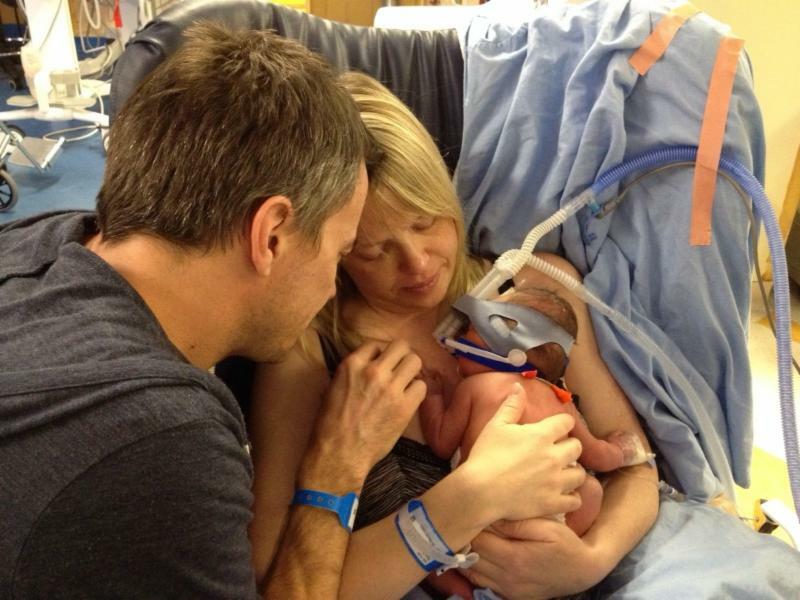 Laesa and James' daughter was born at thirty-two weeks with Complex Congenital Heart Disease and was placed into the BC Women's NICU where she spent four months in the care of nurses, doctors and neonatologists. From the first few moments of her life through the next few weeks the family began to learn of the complications this presented inside her tiny body; passageways with holes, valves not working, bones too small. This lead to countless OR visits, IV's, PICC lines, blood transfusions, ventilators, and heel pokes. It became clear the baby's airway problems and inability to breathe presented an even greater challenge than her heart issues. After 60 days intubated the doctors performed a Tracheostomy that began the journey to bring Baby Kim home. Laesa and James Kim's find it hard to put into words the gratitude they have for the nurses and doctors at BC Women's NICU. The team who cared for Baby Kim was right there with them for each obstacle, setback, milestone and celebratory moments; they fought and cared for the baby like she was their own. The journey has not ended since leaving the NICU, but the life she has, combined with the skills and confidence her parents have gained, all came from the people and experience at BC Women's NICU. Rigel Milton was born suddenly at 33 weeks at BC Women's Hospital where he was admitted to the NICU and received help breathing, with feeding, light therapies, along with other interventions for the next month. It was not an easy time for the Milton family, but they knew they were not in it alone as they spent their time in the NICU alongside the caring and dedicated teams of doctors and nurses. Tracy Milton, feels deeply grateful for the amazing facilities and the care provided at BC Women's during Rigel's first days, she'll never forget the dedication to helping the family learn how to care for their new tiny babe. Today the Miltons have a happy and healthy son, and jumped at the opportunity to get involved and help the Sip and Savour team for this years' event. If you're interested in supporting the BC Women's NICU, click here to donate tooday.